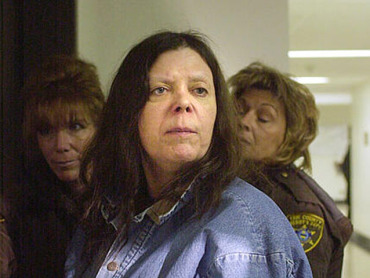 (CBS/AP) Erie, Pa. - Marjorie Diehl-Armstrong was given a life sentence for participating in the bizarre robbery plot that involved a pizza delivery driver being forced to rob a bank while wearing a bomb around his neck, which exploded and killed him shortly after the heist, on Aug. 28, 2003. Diehl-Armstrong, 62, will serve her life sentence consecutively along with the 30 years she is currently serving for murdering her boyfriend two weeks before the robbery, because he planned to reveal their plot, officials say. Diehl-Armstrong pleaded guilty, but mentally ill, to the charges. "My heart goes out to the family," Diehl-Armstrong said before she was sentenced. "The true killers is [sic] still out there." The family of the bomb victim, 46-year-old Brian Wells, agrees with her. They believe that Diehl-Armstrong was a victim of manipulation and the real killer is at large. Prosecutors contend Diehl-Armstrong and others plotted to lock the bomb onto Wells' neck, then sent him to rob a PNC Bank in Millcreek Township, Pa.
Click here for complete coverage of the Diehl-Armstrong case on Crimesider.